Jason Bohn is an American professional golfer. He landed second in the RBC Canadian Open on Jul 25, winning about $369,600. Bohn played on the Canadian Tour and the Nationwide Tour before earning promotion to the PGA Tour, where he has played since 2004. In 2005 he won the PGA Tour's B.C. Open. He won $866,786 on tour in 2008, good enough for 123rd on the money list and a full tour card for 2009. Bohn graduated from the University of Alabama in 1995 with a degree in Finance. In 1992, while a sophomore at Alabama, Bohn was playing in a charity fund-raiser in Tuscaloosa when he made a hole-in-one worth $1 million. Bohn dropped his amateur status and golf scholarship on the spot and turned professional. Bohn played on the Canadian Tour and the Nationwide Tour before earning promotion to the PGA Tour, where he was a 2004 rookie. 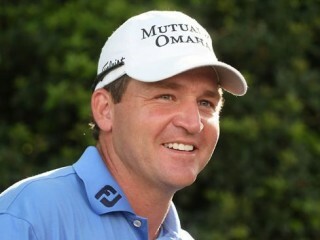 View the full website biography of Jason Bohn.